Your HVAC system plays a major role in providing comfort for your family. There is an important step-by-step process for making your home comfortable and it goes beyond the basic services provided by your furnace and the air conditioner (although these are important). Total comfort depends on knowing that your furnace will make it the freezing temperatures accompanying the next ice storm in Bucks County, knowing that the air conditioning system can keep your home cool-even in 100 degree temperatures and that the thermostat is doing its job by monitoring the work put out by the HVAC system. Whether the temperatures outside are below freezing or above boiling, Newportville and Bucks Country residents can rest assure that the HVAC contractors of Robaire Company Inc. are available 24-hours a day, 7 days a week to ensure your families comfort. New HVAC systems alone won’t always solve many of the safety, health, comfort and energy efficiency problems we routinely encounter…which you may have in your home as well. For this reason, we look beyond the basic equipment and evaluate the entire criteria for comfort in your home! From determining that your furnace in your Bensalem residence needs repaired or replaced to installing a commercial HVAC system in Langhorne, Robaire Company Inc has got you covered. We recognize that your comfort needs are of top concern and that everyone’s essentials in Bensalem are different, which is why we’ve got you covered from installation to maintenance. We can provide a thorough home energy audit for your Langhorne home to ensure your furnace, central air conditioner, heat pump and ductless system is among the world’s most energy efficient. When it comes to food products, safety and freshness can make all the difference. We offer commercial refrigeration services for every need to ensure quality, performance and energy efficiency. Are you worried about the efficiency of your boiler? We are here with some indicators to look for when determining whether it’s time to repair your current boiler or invest in a new boiler. Home Heating in Morrisville and Penndel needs to be more than just strong-it also has to be even. Cold spots are frustrating and a properly maintained heating system should never create any. Our HVAC contractors will perform thorough tests that will allow us to improve the air flow and temperature detection in your home, which ultimately leads to more thorough heating. 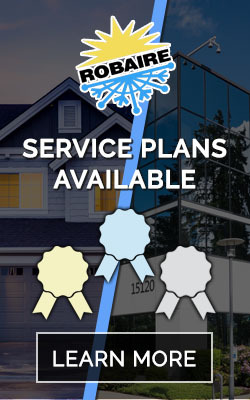 We have a variety of services plans available for the residents of Morrisville and Penndel that allow you to ensure your HVAC system is working correctly instead of working harder than it should. A properly installed, well maintained HVAC will allow you to have lower energy and fuel costs and stay comfortable all year round. Well-maintained furnaces, boilers, heat pumps and air conditioning systems will last longer and require fewer repairs. Contact Robaire Company Inc. today to schedule the installation, repair or maintenance of your HVAC system.